You’re with the band when you pack up the Bound turntable from Crosley. 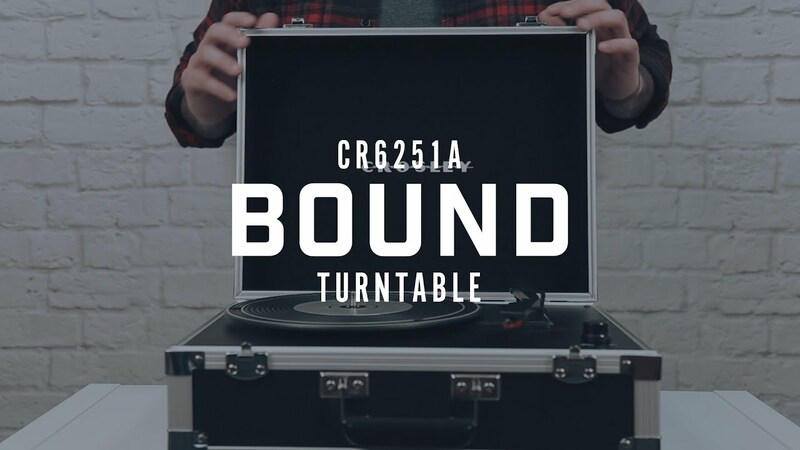 Tough and portable, the Bound looks like a mobile roadie unit, but bust it open, and its three-speed record player can blast out loud with the best of them. Little but loud, if you really need to break the sound barrier, plug in more speakers to the RCA outputs. Vinyl cravings not cutting it? Pop in an auxiliary input and groove to new tunes, or leave wires behind with Bluetooth connectivity to get this show on the road.